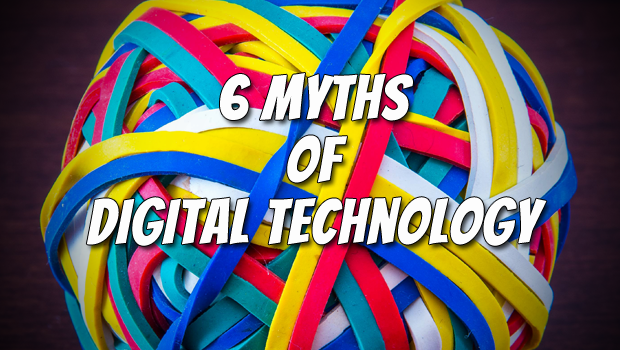 I cannot take credit for these 6 myths of digital technology – I’m lifting them straight from what I thought was a well known and received investigation in to the impact of digital technology on education. 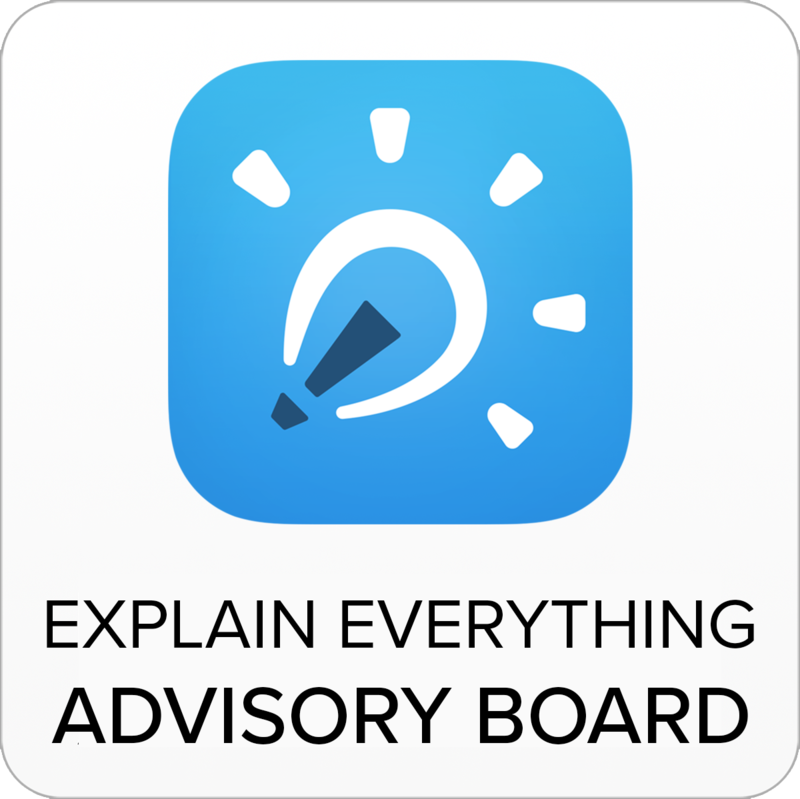 It would appear that a lot of the research however is not well known and in an attempt to do for others as I do for my students in terms of making the implicit explicit; this marks the first of a series of posts which will look in to the evidence behind digital technology and its links to learning. 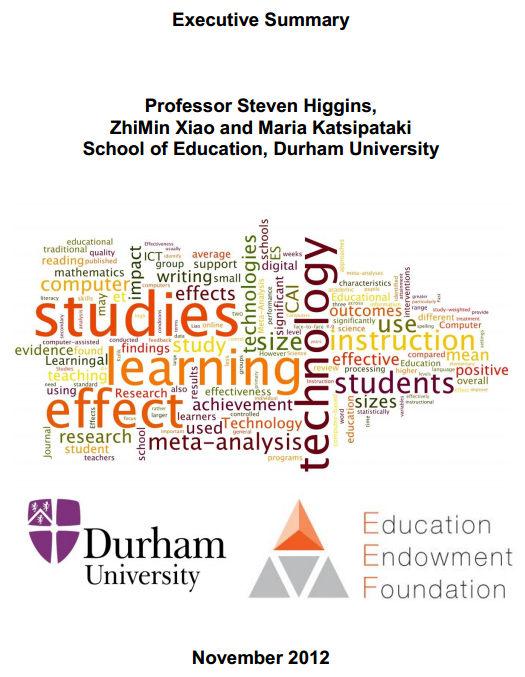 In this post I will be looking at an investigation undertaken by Professor Steven Higgins, ZhiMin Xiao and Maria Katsipataki from the School of Education at Durham University, published for the Education Endowment Foundation. To summarise their findings, as I’ve mentioned before, it’s not about technology, it’s about pedagogy. They also state very clearly that “the use of technology needs to be informed by context and research“. Hear hear. This is absolutely true and why shouldn’t it be? Technology isn’t a panacea for everything, is it? Do you think it is? Not to take anything away from the summary – it is excellent. Like a York notes of great advice for technology projects. Read it. 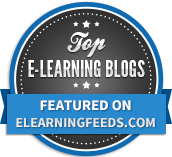 “The introduction of technology has consistently been shown to improve learning” – hasn’t it just! However, as they correctly highlight – tech introduction is consistently just that little bit less effective than the average intervention. What can we do therefore to ensure that the intervention and use of technology can improve learning more than other interventions? Just like any thing – gaining mastery of it takes time, effort, grit and determination. How else do you think oldies like me are able to do the things we do? Was I born with this ability? No! Time needs to be given to the training of staff, young people and where required, their parents/carers in the systems we put in place to support their learning and progress. Absolutely. I think Ian Gilbert’s book – “Why Do I Need A Teacher When I’ve Got Google” has some relevant commentary here! There’s nothing quite like a sweeping generalisation, is there? As with the other myths there is sound advice here to take on board too. Absolutely not. That is why I believe so vehemently in using frameworks such as SAMR and TPACK to ensure the best use of technology in the classroom so that it best supports the learning going on; so that use can be transformational, not substitutional. The trick with all of it though is as the summary says, “knowing which technology is the best to choose”, and this often comes down to a cost vs benefit analysis and if you’re making decisions about technology on that basis – perhaps you should be looking at other interventions? “Myth 6: The “More is Better” Fallacy. Enthusiasts assume that if a little technology is a good thing then a lot will be much better. The evidence does not support this assumption, for two reasons. First, large-scale international studies indicated very high use of technology – e.g. pupils using the internet more than four hours per day – is not linked with better learning. Second, the effect of technology and length of interventions indicate that more is clearly not always better. This suggests that there is an optimum level of technology which can support learning, too little and you don’t see the benefit, too much and the gains decline. A better notion might be the Goldilocks effect: it is about getting the amount of technology, and learners’ access to it “just right”“. 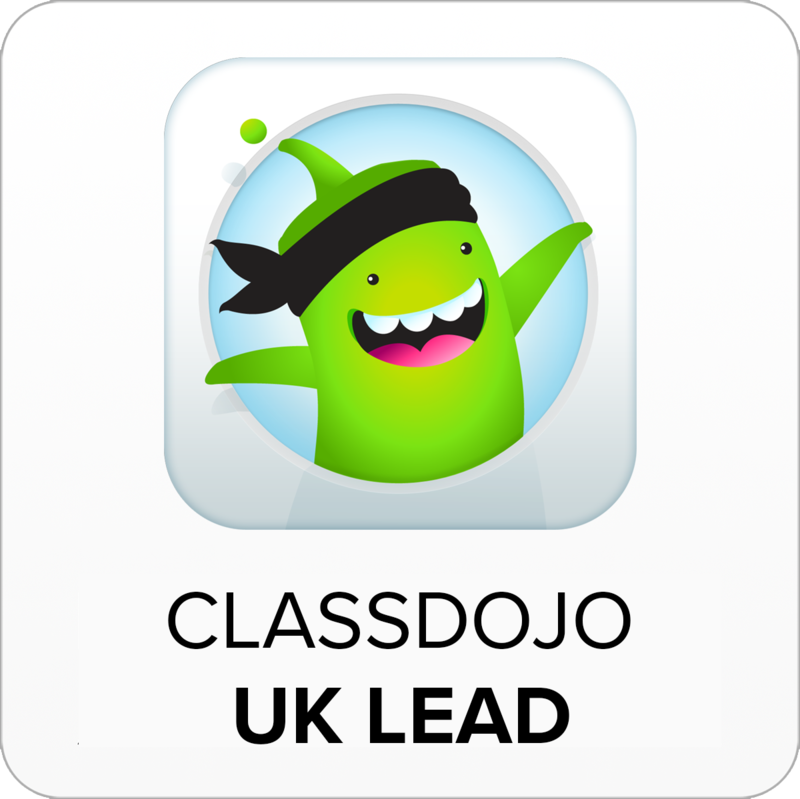 As with all of these things and the research we see everything needs to be taken with a pinch of salt and should be tempered next to your knowledge and understanding of your pupils, in your local area, with your teachers, in your school. For the FULL picture, please read the FULL report with all references, links and research in the appendices. It’s well worth an hour of your time having a read!